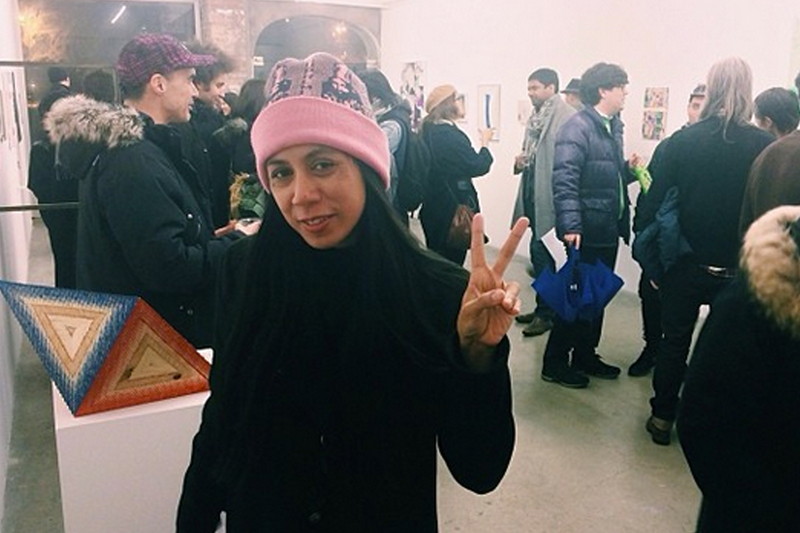 Carissa Rodriguez is an artist, writer and gallerist born in 1970 in New York City. She received a degree in Literature at Eugene Lang College at The New School for Social Research in 1994. Her work was exhibited for the first time in 1996 at American Fine Arts, New York. Rodriguez’s 1998 project The Stand traveled between 1999-2004 to institutions such as PS1, The Swiss Institute and American Fine Arts in New York; and The Royal College of Art (London) and Kunst-Werke (Berlin). In 2000, her first solo exhibition was at Forde in Geneva. In 2001, Rodriguez was awarded a grant from the Van Lier Fellowship to attend The Whitney Museum Independent Study Program from 2001–2002. In 2004 she joined Reena Spaulings Fine Art, an artist-run gallery in New York where she is currently Director. Rodriguez has had solo exhibitions in 2009 at New Jerseyy in Basel; in 2010 at House of Gaga in Mexico City; in 2011 at Art Basel Miami; in 2012 at Karma International in Zurich; and in 2013 at Front Desk Apparatus in New York. She was featured in The Whitney Biennial of 2014 at The Whitney Museum of American Art.